This guide shows you how to create your own watering system using Hozelock’s easy to install and simple to use drip and micro-jet spray system. 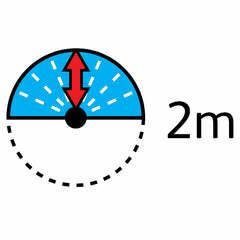 We will also show you how to make it work automatically by combining it with a Hozelock water timer. All of the Hozelock products mentioned on this page can be bought from our online store, as well as all the individual components. For quick navigation, we've provided links to all the store pages you'll need to build a Hozelock watering system throughout this guide. 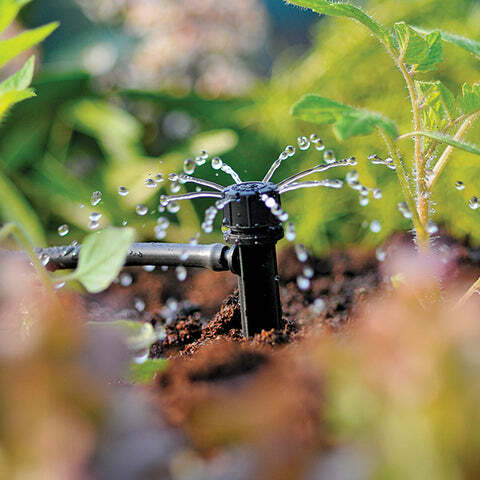 Automatic watering is the method of irrigating your garden with a network of hidden supply pipes and emitters connected to your outside tap. When used in conjunction with a water timer, an automatic watering system can be timed to turn on daily. Systems can be installed in greenhouses, flower beds, plant containers, hanging baskets, and much more. If you have a plant that needs watering, this system can water it automatically. 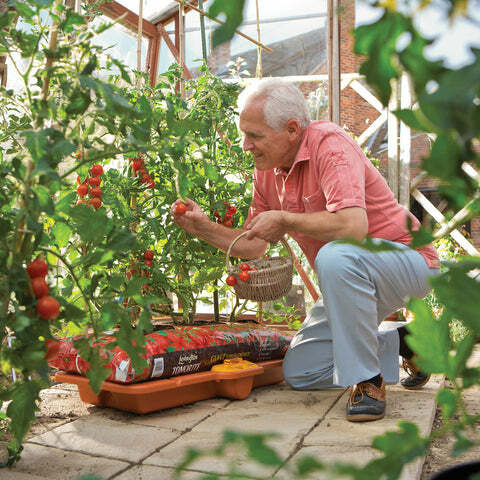 An automatic watering system takes the work out of watering the garden, ensures your plants are healthy all year round, and that you use water as efficiently as possible. 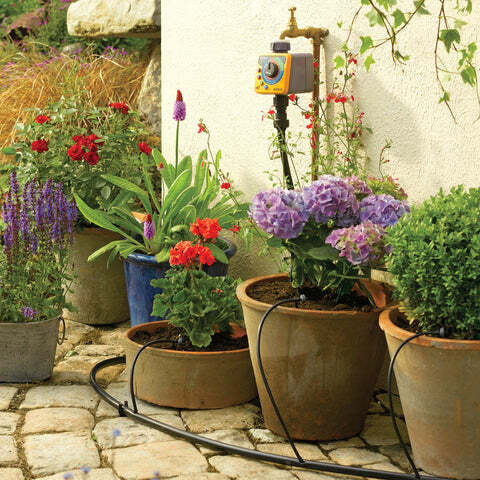 Using drip emitters, you can achieve water savings of up to 90% compared to using a traditional hosepipe. Using a water timer with your system allows for automatic daily watering. This is perfect for gardeners that are busy, forgetful, or for when they go away on holiday. An automatic watering system can be broken down into three simple steps. First, you need to make a connection to a water source, usually an outdoor tap. From this source, you can also fit a water timer to automate daily watering of your irrigation system. Next, you need to create a network of supply pipes to act as the primary carrier of water around your garden. Run this to everything you want to water in the garden. Finally, you need to install emitters (outlets) that release the water. 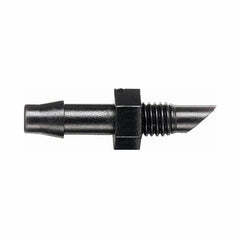 These can be drippers, micro jets or sprinklers. Let's walk through each of the steps in more depth. The tap connection is the most important element of a garden watering system. It connects the watering system to the main water source. 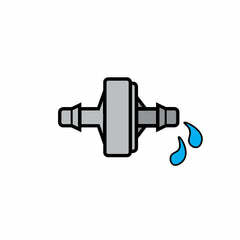 You need to use a pressure reducer to ensure the best performance for your watering system. If the water pressure in your system is too high, you'll find water being released inconsistently and may have problems with parts coming loose. If you plan to use a water timer, it needs to connect directly to the water source. If you want to keep your watering system permanently attached to the water source, but want also to have a connection for other purposes (to fill a watering can or for washing your car) you can use a garden tap splitter. As we have already discussed, water timers automate the watering system completely. They save you time and make sure your plants are regularly watered, even when you're away on holiday or a business trip. 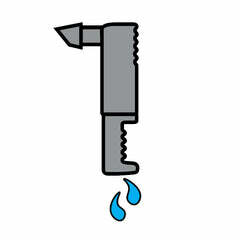 Hozelock's programmable water timers can be directly screwed onto an outside tap. No tricky electrical wiring is required as they are battery powered. Batteries typically last an entire watering season. Programming is easy, and there's a manual override for other watering tasks. 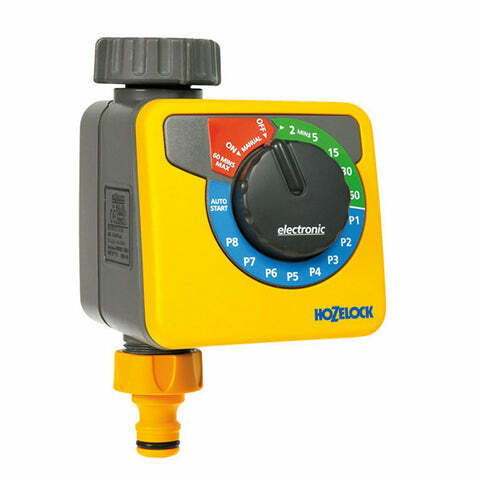 The Hozelock AC1 water timer is simple to use and allows for basic programming with its single dial. It offers a choice of 13 pre-set programmes for weekly or daily watering cycles. 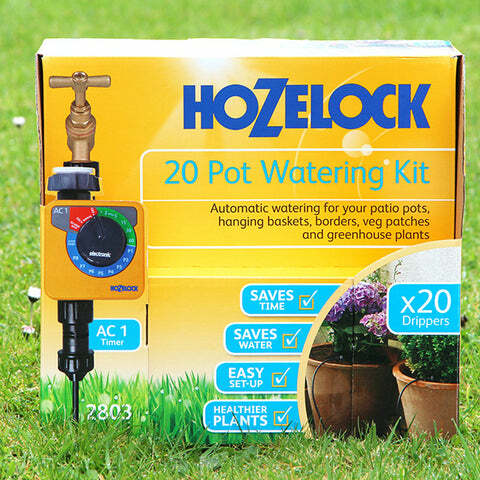 This is the easiest water timer from the Hozelock range to use and is ideal for small, simple gardens, pots and containers. The Sensor Controller is the most popular from Hozelock's range and offers more flexibility than the simple version. It features an innovative sensor for watering at dawn, dusk or both. 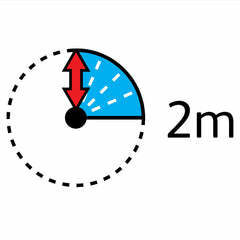 Watering duration can be set from 2 minute up to 60 minutes. Excellent for most gardens. The Hozelock Cloud Controller is a modern water timer that takes advantage of smartphone technology for any automatic watering system. Control your irrigation system from anywhere in the world with just a few taps. The App is available on both iPhone and Android devices. The second step to installing an automatic watering system is to build the network of supply pipes. It is worthwhile planning the route your supply pipes will take before you come to lay anything out and cutting to size. 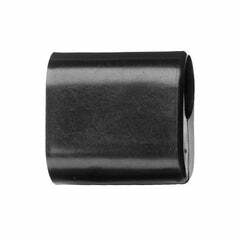 There are two different sizes of supply pipe to choose from. 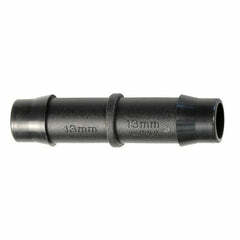 13mm supply tube is used to act as the primary carrier of water from the source. 4mm supply pipe is used to feed the water to the plants. All you need to cut the pipe is a Stanley knife or a sharp pair of scissors. As previously mentioned the 13mm supply pipe acts as the main carrier of water. Run this throughout the entire garden past everything you want to water. Use elbows, t-pieces and joiners to make the network. 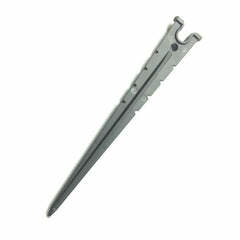 Use wall clips and stakes to secure the pipe in place. 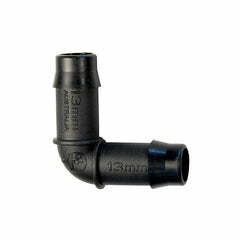 The 13mm supply pipe can be buried up to 5cm in the ground or covered with mulch. 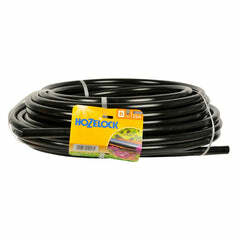 Hozelock's 13mm tubing is supple, durable and UV resistant. Shuts off or adjusts flow in the supply tube. 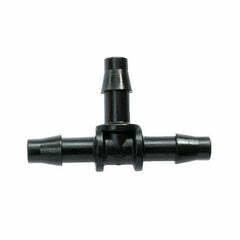 For branching 13mm supply tube. For closing off ends of the supply tube. Secure the supply tube to walls or fences. 25 metres of highly flexible UV stable supply tube. For making 90° turns in the supply tube. For extending or repairing supply tube. Holds the supply tube in position. 4mm supply pipe is used to feed water to the plants from the 13mm supply pipe. It is highly flexible and kink, crush and UV resistant. It connects to the 13mm supply pipe with micro tube adaptors. The emitters (drippers, micro jets and sprinklers) connect directly to the end of the 4mm supply pipe. Use micro t-pieces and in-line connectors to create the network. Use stakes and wall clips to secure the pipe in place. 10 metres of highly flexible UV stable micro tube. For branching 4mm supply tube. Holds micro tube in position. 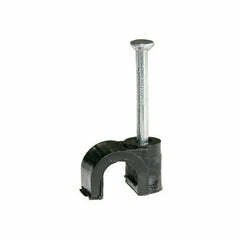 For punching holes in the 13mm supply tube. Seals holes in the supply tube. Shuts off or adjusts flow in the micro tube. 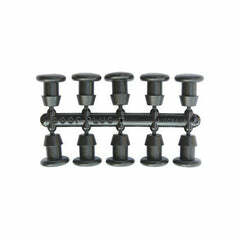 For attaching 4mm pipe to supply pipe or extending micro tube. 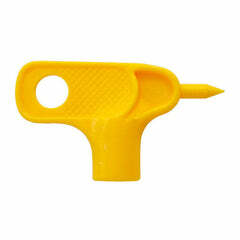 Secures micro tube to walls and fences. Once you have your network of supply pipes installed, the final step is to fit the emitters. 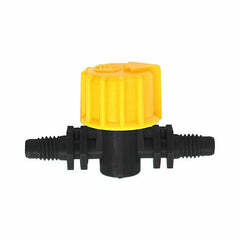 You can connect any combination of drippers, micro jets and mini sprinklers, depending on the plants and where you want to water. 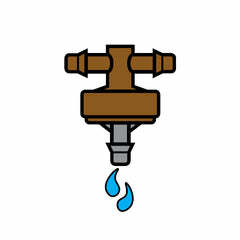 Save water and help your plants by putting drippers and sprinklers close to the roots and in the shade of leaves. This way your plants will take up more water, the soil will remain moist, and evaporation will be lower. You will need to experiment slightly to determine the best performance from your system. Below we show you the best types for different areas. You need to calculate the number of drippers/sprinklers your water source can support. See the design section at the end of the guide for the method of calculating this. Drippers are used at the base of plants to provide precise watering. You can use adjustable drippers to cover several plants grouped together. Drippers are more efficient than other emitters because they release water much slower. Simple dripper. Use at the base of small plants. Secure with a stake. Flow rate of 4LPH max. Advanced dripper. Ideal for all uses especially container plants and hanging baskets. Secure with a stake. Flow rate of 4LPH max. Use amongst groups of small plants and at the roots of ones. Use upside down above hanging baskets. 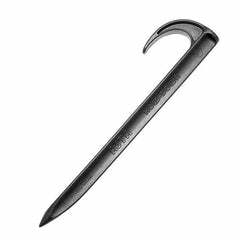 Use with a stake to secure. Flow rate between 0 - 40LPH. Use amongst groups of small plants and at the roots of larger ones. Supplied with stake fitted. 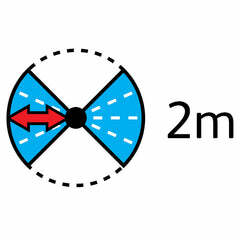 Flow rate between 0 - 40LPH. 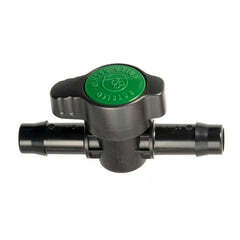 Microjets deliver a fine spray over a much larger area than drippers. This allows for much quicker installations. They are also more cost effective. The downside is they are more wasteful with water as they are not as precise. You need to way up the benefits and make a choice for yourself which type of emitter will be the best option for your garden. Different patterns to ensure complete coverage of flowerbeds and borders. Overlap to avoid dry patches. Combine with High Spikes (2788). Flow rate of 55LPH max. For long narrow areas. Overlap to avoid dry patches. Combine with High Spikes (2788). Flow rate of 33LPH max. For delicate plants and seedlings. Use under glass only. Combine with High Spikes (2788). Flow rate of 18LPH max. Fully adjustable flow. Overlap to avoid dry patches. Combine with High Spikes (2788). Flow rate of 82LPH max. 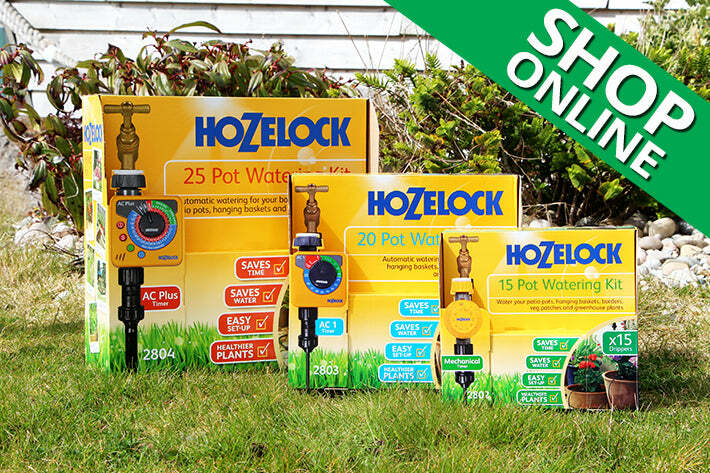 These Hozelock automatic watering kits are the perfect introduction to micro-irrigation. The kits include everything you need to start your own irrigation system. 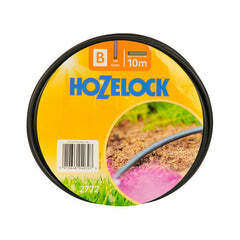 We also have a wide range of Hozelock products that can be bought to extend these systems to meet your requirements. Have a read below to find out more specifics for each automatic watering kit available. This is the most advanced kit and comes with the Hozelock AC Plus water timer. 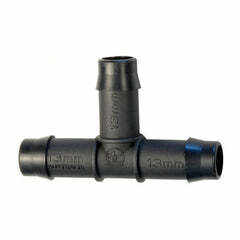 It utilises both 13mm supply pipe and 4mm supply pipe to create a network in your garden. This kit is ideal for larger systems and for future expansion. 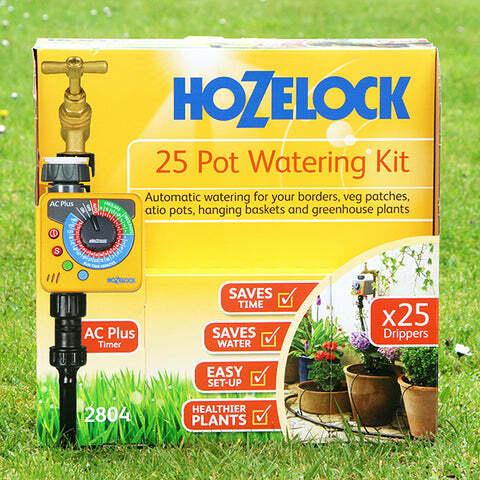 This automatic watering kit features the Hozelock AC1 water timer and suitable for smaller systems. 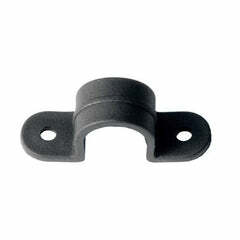 It includes 4mm supply pipe and is ideal for watering pots, containers and hanging baskets. 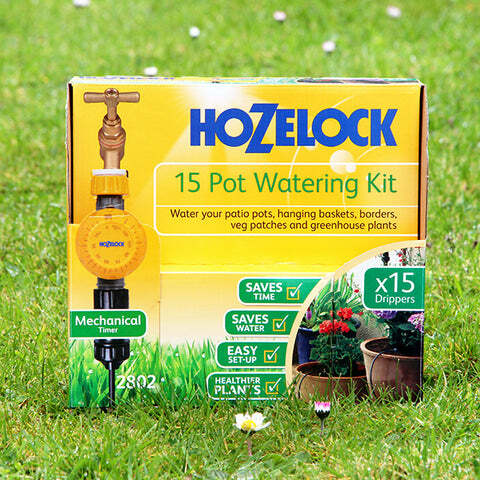 This is the simplest watering kit Hozelock offer and provides gardeners with a quick and easy method to set up a simple watering system for patio pots, hanging baskets and greenhouse plants. Follow the simple steps below to plan a tailor-made watering system and create a shopping list of parts. Even if you don't build exactly to plan, you will have enough information to purchase the components you need. You need plain paper, graph (squared) paper, a pencil, some coloured pens and a long tape measure. Use the plain paper to sketch the area where you are going to build the system. 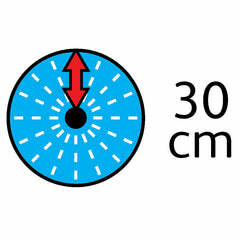 Note the dimensions as you measure. Transfer the measurements to the squared paper afterwards. The fixed elements - house, outside tap etc. 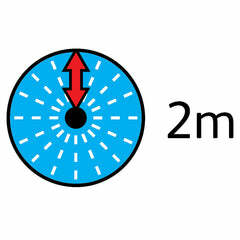 Distance from the outside tap to start of system. Length of fences, walls, beds where supply tube and micro tube will run. Key planting areas - container groups, thirsty and precious plants, seedlings etc. Any obstacles, e.g. paths or driveways. Height of fence panels, walls etc. if hanging baskets are to be watered. 3. ﻿Draw the supply tube, showing angles and joints for connectors. 4. Plan in flow control valves where supply tube is likely to be longer than 50m, or use two water timers and a four-way tap connector. 5. Using a different colour, show the lines of micro tubing. 6. Mark the outlets, using different coloured pens for each type (see earlier for table of drippers). 7. Count up the outlets, connections, fixings and length of tubing and complete your shopping list. With the tap fully on, fill a bucket and time the number of seconds it takes to fill. Multiply the number of litres your bucket holds by 3600, and divide by the number of seconds it took to fill. This will give the maximum flow rate per hour. Each outlet has a flow rate. For example: Microjets use 55 litres/hour, therefore with a maximum flow rate of 2160 l/h, the maximum number useable is 39 (2160 ÷ 55). If you're really stuck and need more advice, you can always get in touch with one of our experts to discuss your needs. Get in touch either by phone or email.